I am not a Penn Stater. But my wife is. An avid one at that, and so is her mom, her uncle and aunt and her cousin. They all bleed Blue and White. They all shout…..” We are! 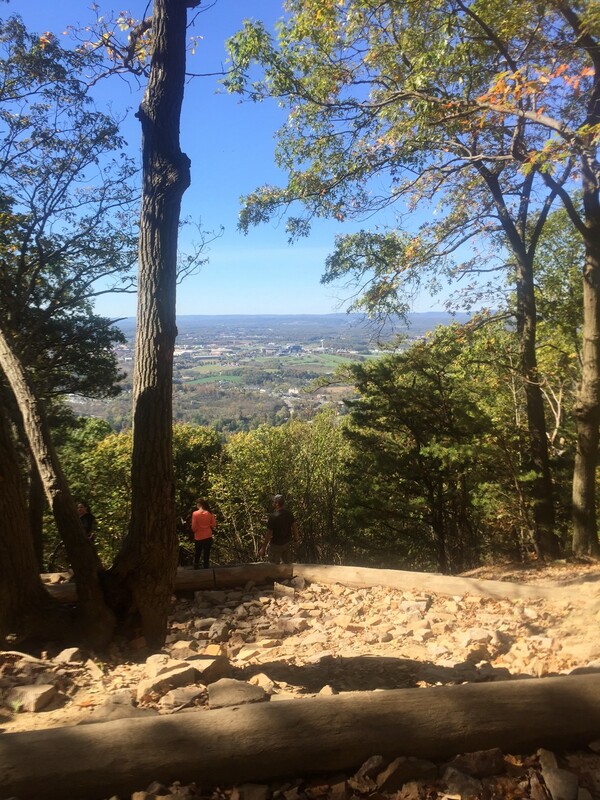 !” For almost the last 30 years, I have been witness to a phenomena that is reserved for those who have been through the State College experience and have gone through leaps and bounds in their love for their school and their PSU friends. 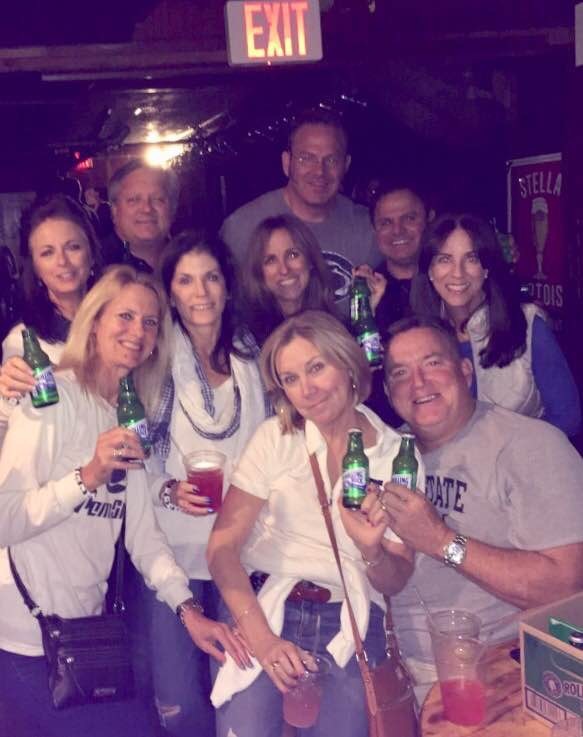 No group could ever be as close as my wife and her PSU pals. 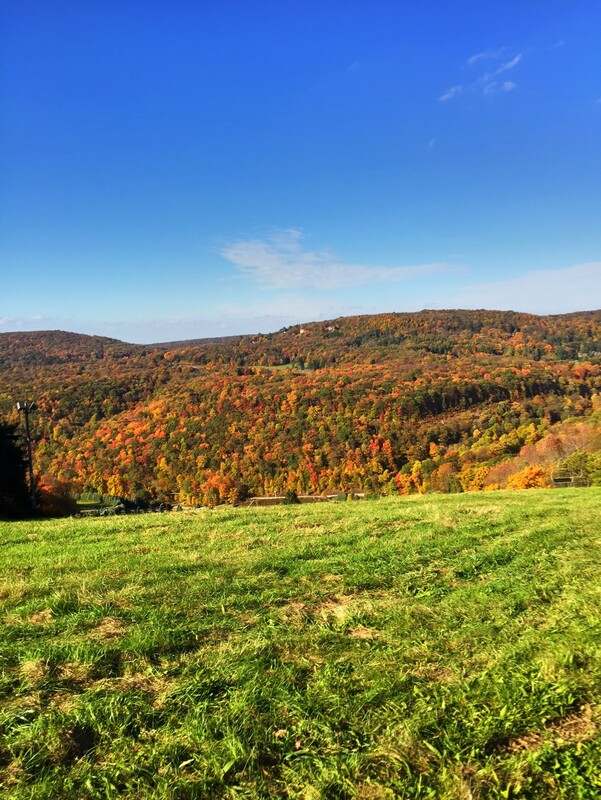 Every fall, we make the trek to Happy Valley to take in a football game and get together with Jan’s whole clan. The fact of the matter is that we get together with them frequently. 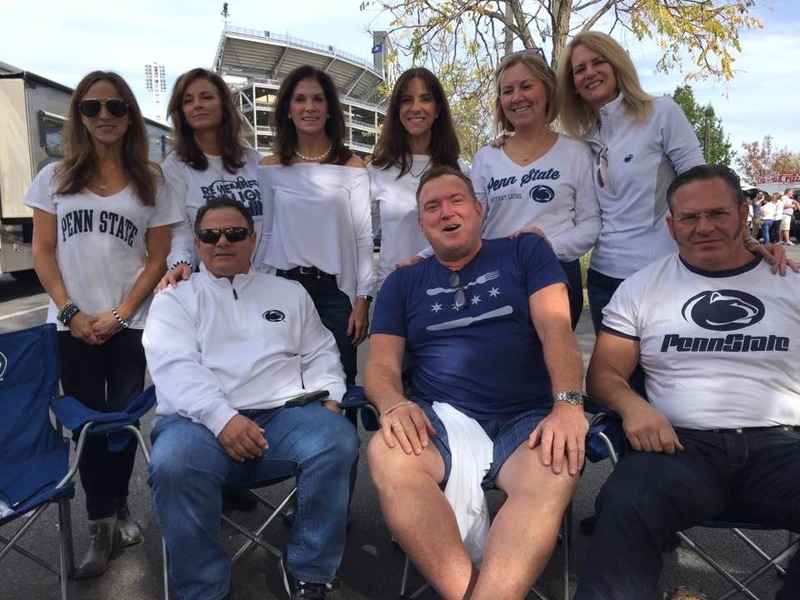 Ski trips, football games, the beach, weddings, bar mitzvahs, graduations, all are attended by this really close knit group of Nittany Lions. 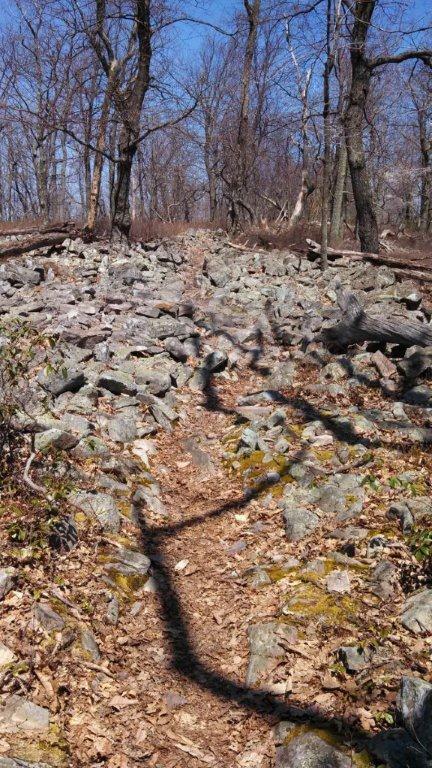 Personally, I get the bonus of riding mountain bikes in Rothrock State Forest Challenging to say the least but equally as scenic riding along the ridges of Tussey Mountain with my friend Mike Smith- the spouse of my wife’s good friend who was a cheerleader for the Lions. I see the traditions of ice cream at the Creamery, a box of Rocks at the Skellar, hamburger a la Corner, and many others that have been introduced to me by Janet and her friends. The ladies are particularly close and a lot goes into planning the trips, the food and drinks at the tailgates at the Smith’s motor home. How Judy(the cheerleader) manages to drive that behemoth through traffic, set up the tents, the food, the drinks, and welcome friends and strangers alike with her husband Mike, is really remarkable. For almost 30 years this crowd has invaded the Ritchey home as they graciously allow us to crowd in and crash for the weekend. Mark and Kathy are an amazing couple whose generosity over the years is inspirational. Kathy was Janet’s “roomie” and they are the best of friends. Dunz, Copes, Fru,the O’Donnells, the Readings, the incredible food prepared by Diane Barrett and her husband Billy. These guys all blow your mind with their love and passion for each other. But the spirit of the Penn State Experience was truly on display this weekend when a record breaking attendance was set in Beaver Stadium for the game against Michigan. 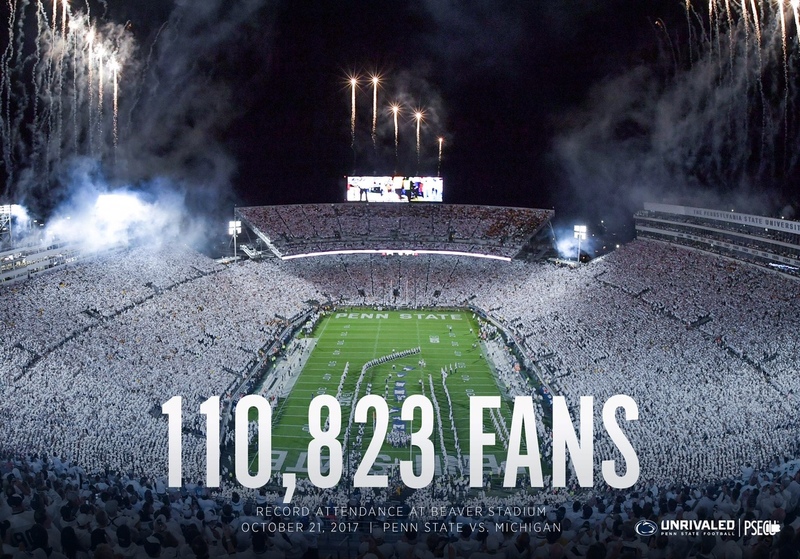 If you have ever experienced a “white out” it is a most intimidating sight for the opposing team but the zeal of 110,000+ people chanting “we are” stirs the collective soul of everyone who calls himself or herself a Nittany Lion. However, if you really want to understand the soul of the Penn State experience, it really lies in the friendships that are created over the years. 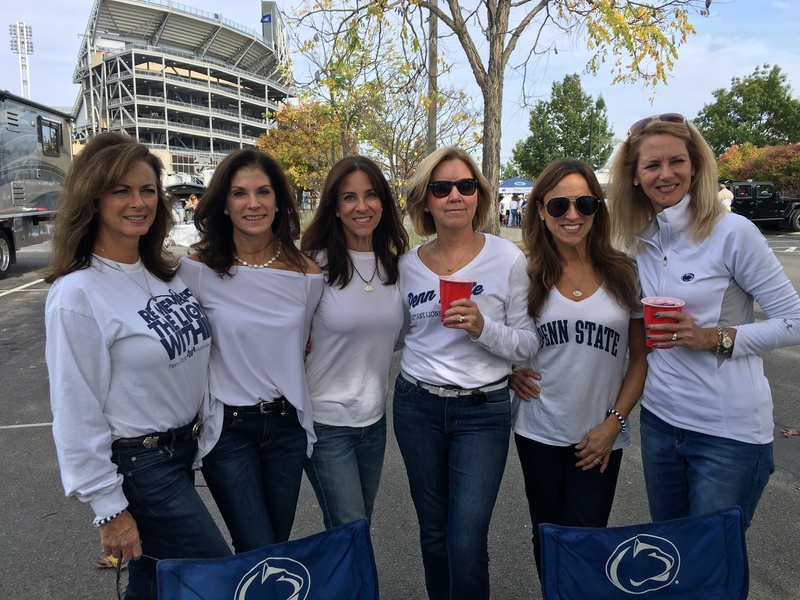 Penn State people love their school but more often than not, their fondest relationships and memories are with their friends from their days in Happy Valley. Janet’s best friends are her Penn State friends and they make an effort to get together, email,talk on the phone and plan the next get together. My wife recently lost her brother and the last crowd in the corner at our house was the PSU crowd. Gathering around Janet and her mom, crying, laughing, sharing feelings and hurts, and collectively wrapping their paws around two of their brood who were sad and hurting. This is the soul of the group. They love each other in the good times and in the bad times. They are there for each other through thick and thin and often it is no easy task seeing that the group is spread all across the country. As I sat among Michigan fans this past weekend( the way the tickets worked out), the people around me remarked what a great experience they were having in Happy Valley. They said, there is nothing like the Big Ten experience and I am sure that friendships like these can happen at most schools who create that kind of atmosphere. 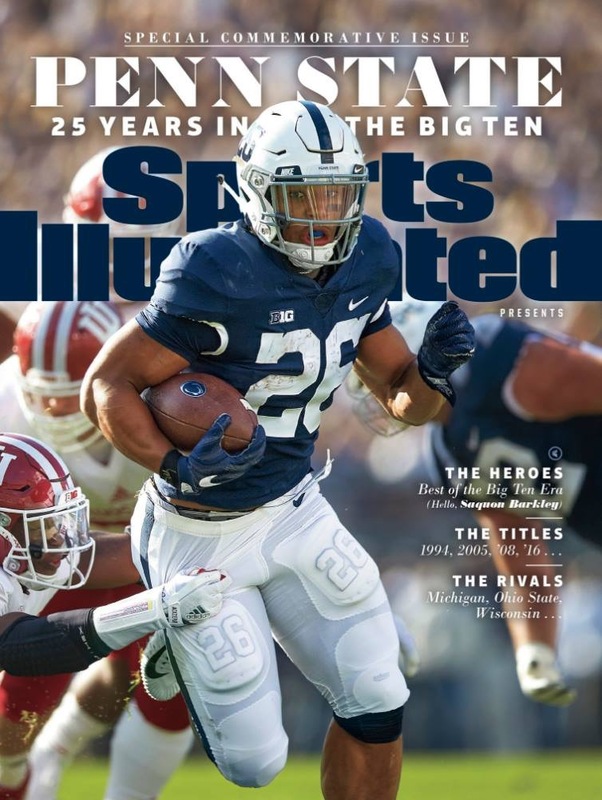 I had a quite different experience going to a Division 3 private college but I have learned a lot watching the Penn State crew over all the years. They have become my friends as well and have embraced me like one of their own. Their paws have comforted my wife and me in hard times and welcomed us in all the good times when we get together. They are generous,kind, attentive, and would do anything for you. When I looked out on that massive crowd this past weekend, I thought about the cheer “we are!” It vibrated through the stadium and echoed in the mountains around Happy Valley. It was broadcast nationally on television and as I took it all in,I can surely say….., without a doubt…….. ” Yes- you are!! !” Thanks for reading. This entry was posted in American Culture, Football, Friendship, Inspiration, travel and tagged Big Ten Football, Penn State University. Wonderfully written and sooo true!…. Thanks Michael. Regards to you guys. Awe Paddy! This made me cry!!! We love all the spouses and others that share our bond! We truly are…… the lucky ones! Hugs and Smiles all around as I dry a tear of joy and thankfulness from all of you. Pat! 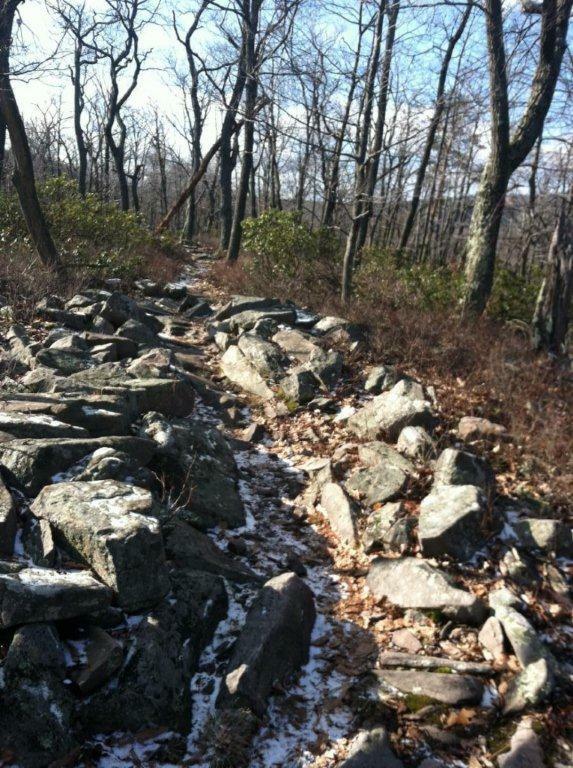 You did it again—another great blog entry! You may not have the same sheepskin as the rest of us, but you are DEFINITELY one of us. As much as anyone I know, you exemplify the “we are…..Penn State” mantra in all your words and deeds. Best to you, my friend. Thank you Mike. You guys are wonderful. Great piece, Pat. We had an SAE fraternity event at PSU and there was Toni Tri Delt.